Hello guys, and welcome to another game review. 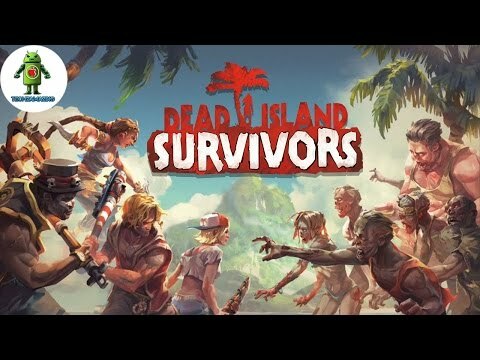 For some time I am in a “strategy mood”, that’s why today we will make a review of another great tower defense game called Dead Island: Survivors, published and created by Deep Silver. First I must admit that until today, I was completely unaware of Dead Island: Survivors. How did that happen, I don’t know, but here we are. I played the game for a couple of hours and initial impressions are good, quite good. First of all, Dead Island: Survivors is not an FPS game (sorry if you had your hopes up), but a mixture of hack ‘n’ slash and tower defense genres. You do control a hero, but at the beginning, you only have one choice, Sam B. the angry tank dude that really likes blunt weapons. A short prologue puts you right on the beach of the first island, where you get to smash some zombie heads immediately. After clearing it up, you are introduced to your base where you can start building paths for zombies by placing defense tower and walls. And now let`s go through the gameplay and see what we have here this time. After each successful mission, you get a loot box (suitcase to be more precise), some money and building materials. Lootboxes can be opened for upgrade cards, even more, cash or other goodies that you can use to improve yourself or the base. Opening suitcases are instant (5 seconds) on the first island, but the timer goes up further down the road. It can take hours or even days to open some of the better loot boxes later in the game. But you won’t have to worry about that for a while after all the first island is like a tutorial and for better or worse, you can’t skip it. Which is not so bad thing, I mean you must know the basics of the game. When you are done completing the first tutorial island, the map opens up and takes you to another island. The base that you had is gone, but all the upgrades are not. From this point on, you can invite friends to join you and build their bases on the same island. Luckily you won’t be starting from scratch as there is a basic layout of towers already in place. All that is left for you is to survive. We all know that the tower defense games are on the market for a long time and this game doesn`t have something revolutionary. As I said this game is not that will take your head off, but it is a nice one, and it is worth it.